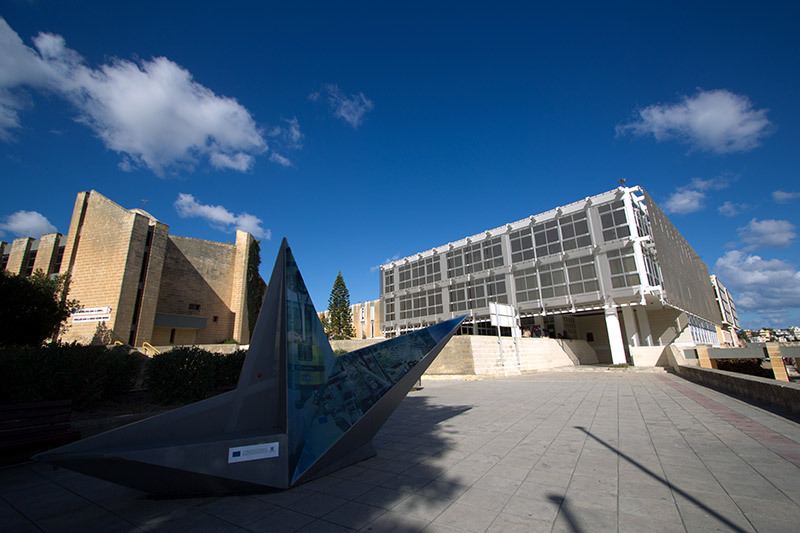 The University of Malta Research Innovation and Development Trust (‘RIDT’) was established by the Government of Malta in 2011 as an integral component of Malta’s established policy to bolster investment in research and development on a national level. It is intended to attract funds from private and corporate bodies to be used to maximise and exploit the research milieu at the University of Malta, and to foster the commercial exploitation of research. Since its setting up, the RIDT has managed to engage with various sectors of the Maltese society and to raise the much needed awareness about the benefits of university research and the need to support it. This engagement has led to a number of community-financed initiatives and projects including, amongst others, PhD scholarships in cancer research and in climate change, a kidney research programme, research projects in engineering, a fully-fledged mobile dental clinic, and a research programme in the genetics of osteoporosis. The RIDT is also one of the organisers of Science in the City, a national science and arts festival which has been running since 2012 and which attracts thousands of people into Valletta. The festival is a celebration of science and research using visual and performing arts as its communication platforms. The yearning to discover what lies beyond, to ask why, what, how, and more importantly, what if, has gripped mankind since the earliest dawn of our species. The innate imperative to unravel the workings of all that fascinates us and to determine the complex linkages between cause and effect has sped us along the journey of evolution. Discovery can be a painful process, almost always entailing perseverance and patience. Those who have given us the greatest inventions often waited their entire lives to live the Eureka moment – a fleeting point in time when that individual’s curiosities suddenly reveal the ultimate truth. As members of the European Union, and in our quest to become a true knowledge-based society, Malta cannot rest on its laurels, honourable as they may be. In a rapidly changing world where jobs are easily exported and traditional professions are commoditised or even automated, intellectual property and process, that is new knowledge, may be the only source of competitive advantage. Starkly put, our country must embark on the path to innovation and development or risk becoming gradually irrelevant in the global marketplace. A fresh impetus is needed, in which research can enjoy fiscal and cultural advantages. The biggest responsibility to drive this agenda lies on the State which is the manager of all revenues, taxes and other major streams of wealth. However, an equally important partner in this initiative is society itself. All of us. As a direct beneficiary of progressive steps by government, it is the also the responsibility of the community to embrace the ethos of research as a way to progress if we are to maintain a sustainable edge and the decent lifestyle many of us enjoy. Simply put, to get the traction we will need to keep going, the funds available for research in Malta from non State sources, be it individuals, foundations, charities and other private sources, will need to grow substantially in size and scope. The Research Trust of the University of Malta was set up specifically to engage with the community and encourage its various sectors to embrace the emerging need of supporting research at the University of Malta. The results of the first years are very encouraging, but this is just the beginning. In a sense then,our journey has just begun. Undaunted by the challenge ahead, we remain optimistic and will pay our part in fostering this paradigm shift where research becomes the main driver of Malta’s growth and progress as we reinvent ourselves to thrive in tomorrow’s world. Seek, promote co-operation with academic and similar institutions for the furtherance of its aims. Do you have an idea worth discussing or maybe you would like to drop us a line?